Me ship had been hit with problems after running into a storm. We were running low on both rations and fuel. The sails were damaged and the crew's morale was down. Thankfully, the keel was intact. Something needed to be done and it had to be fast. Me eyes spotted a small peninsula in the distance. And there were a bunch of restaurants there. This was a stroke of serendipity. Poseidon's grace was surely upon us. Once the lads get some grub, their morale would surely rise. "Dock the ship lads, its time we get some grub." A Peninsula is a piece of land connected to the mainland yet surrounded by a single large water body on three sides. Southern India is a peninsula and so is this place in some way. If one were to consider the main roads as the sea then the restaurants on the corner junctions would surely be on a peninsula. But that's just my over imaginative mind talking. There is a probably a less cheesy story behind the restaurant's naming. Peninsula is the first establishment among a reputed chain of restaurants and hotels that stretch from India to Dubai. Before the owners grew and the brand became a titan, this is where it all started. Peninsula has been operating for twenty five years and its safe to say that the owners are quite experienced in the food business. With humble beginnings, this place has grown to become a multi-cuisine restaurant that offers Indian, Chinese and Mexican. Within Indian it offers North , South and West Indian grub. That's a lot of choice. The ambiance resembles a quaint Victorian cafe from a forgotten era. The marble, the lighting and the artwork do not make it appear fancy or loud but still add an air of elegance and maturity to it. The dining area is not very large but certainly appears comfortable. I was quite exhausted since the trip to Sion had been a long one for me. The late summer heat had also been quite a pest. The Mint with Rock salt mocktail re-hydrated me and restored my spirits. 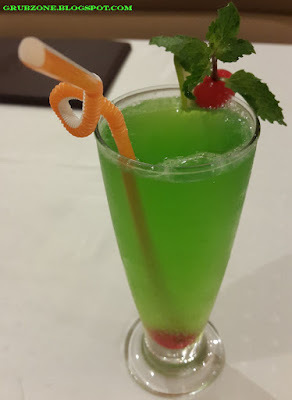 This green colored drink was visibly enticing and its flavor was quite intriguing. The rock salt added a sweet-n-salty flavor to the drink while mint supplied its natural cooling sensation. The drink reminded me of the "Masala" soft drinks that I used to have back in my college days. The nostalgia was a warm sensation. Kebab Platter looked quite amazing. It was a mix of six different kebabs. Each of the six was an amazing kebab. I do not think that I can complain about any kebab in this platter. It was simple perfection. Reshmi Kebabs were smooth, savory and melt in your mouth type. Malai Kebabs were snacky and my favorite kind of white kebabs. The classical Chicken Tikka had a potent amount of spice infused in it and the flavor was the genuine North Indian classic. 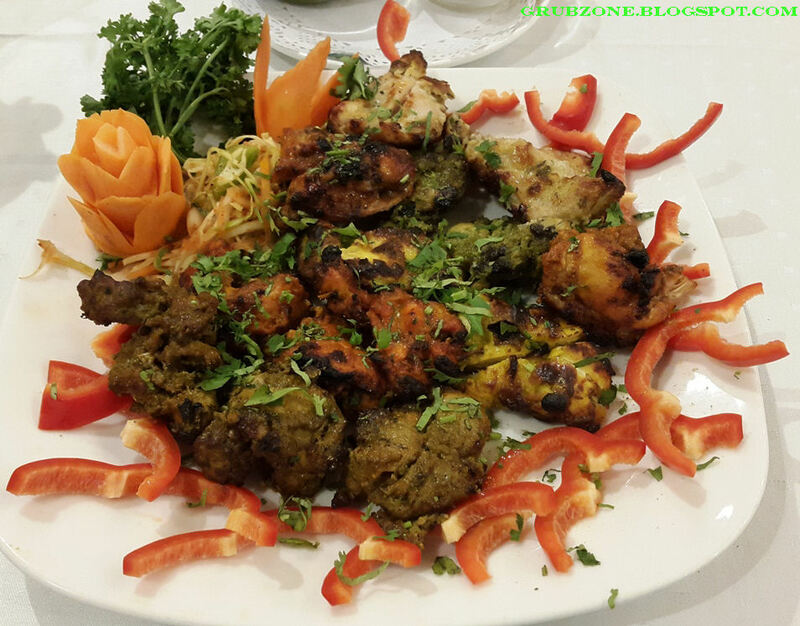 Pahadi kebabs were green colored chicken delicacies infused with coriander and mountain spices. Madari Kebabs were my favorite in the platter and this was also my first time with these. These kebabs were marinated in rum giving them a unique flavor. I never knew that spices and Rum could be used in such unison. The flavor was quite addictive. Lahori Kebabs were spicy North Indian morsels packed with flavor and had a heavenly aroma. These were clearly the better spicy kebabs. The spices here created different sensations on different taste buds. It was quite a mystifying sensation. Captain : This be a treasure chest of Kebabs lad. Crewmate : Should we bury it on an island and mark it on a map? Captain : Are you dense lad? The earth doesn't devour Kebabs, we do. 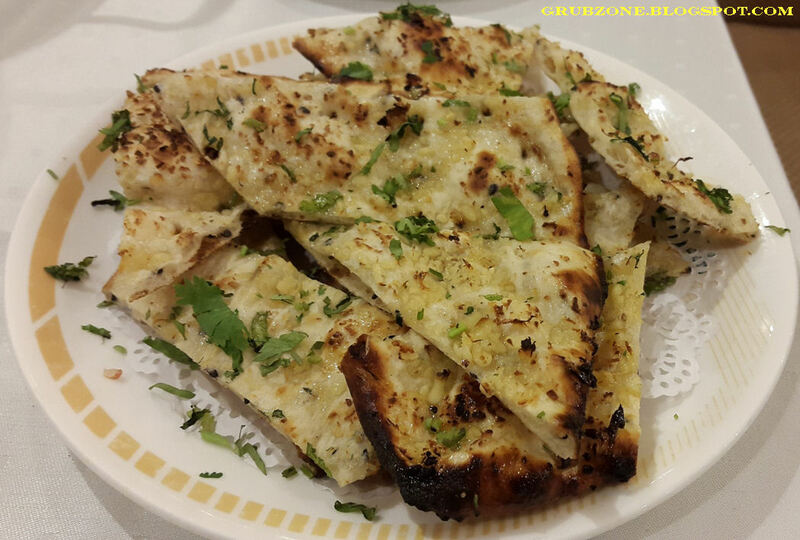 Garlic Naan was served as an accompaniment to the main but I felt that the flavor clashed and the main was best enjoyed with a plain Tandoori Roti or a Chapati. 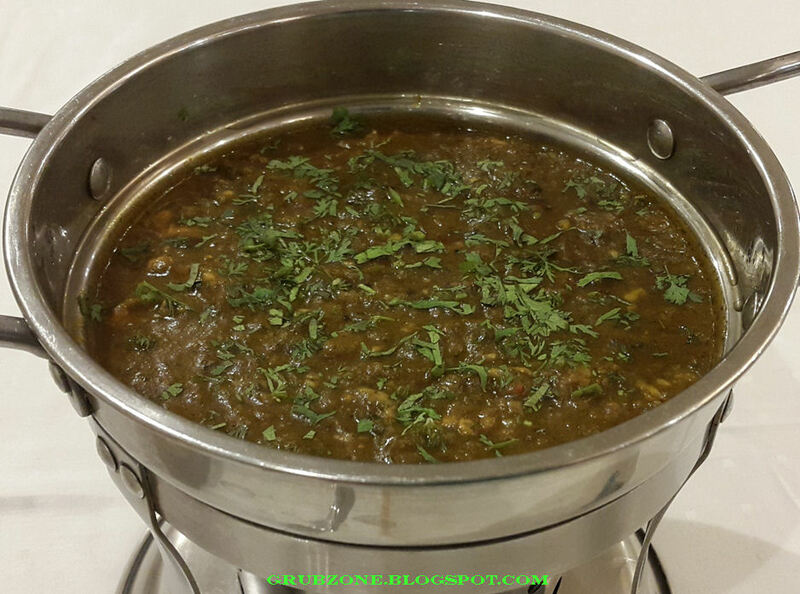 Chicken Maratha had an appearance and aroma much similar to Sabud Masur Lentils. That is probably due to the coriander and spice mix. The dish also has a bit of Malwani feel to it. The chicken is moderately spicy and the flavor is quite strong. Those with a low spice tolerance could request the staff to mellow down the spice. I however like spicy grub, so I quite enjoyed the dish. Each cube of chicken had flavor deep down to the very core. The thick curry was both aromatic and pleasing. The wafting aroma seduced my olfactory senses and it made me instantly hungry. (All this after eating several kebabs) This is the kind of food that pleases the heart and soul. The www suggests that Chicken Maratha differs from place to place. But Peninsulas variant was definitely one of the better ones. Captain : Green Colored Chicken, now that's something one doesn't see everyday. Crewmate : Does it feel like a lentil soup? Captain : Let me taste. Oh yes positively Lentil soup. Crewmate : Are you being honest Captain? You seem to be eating it rather fast for a Dal. Banana Split - I initially felt that there would be no space for dessert as I was quite full. However as soon as I laid me eyes upon this trophy of a dessert, I knew I had to devour it to the very last piece of banana in it. The pacman inside me was going bonkers or shall I say bananas. Peninsula's Banana Split had an amazing presentation. It was nothing short of the fancy platings found in most casual diners today. And they had not compromised on the quantity with theatrics either. A scoop each of Butterscotch, Strawberry and Vanilla in a banana valley was as close as you can get to the American classic. The addition of Maraschino Cherries, roasted cashews and sliced almonds made this a banana republic that I can like. For a guy who was feeling full, I strangely finished this dessert completely. Captain : Lets scale the ice cream mountains lad. Captain : Lets plant our flags on the peaks of Mt. Butterscotch, Vanilla and Strawberry. Captain : But wait, what do I see? Bridges of cherry. Crewmate : Its been a while since you got high on Desserts. The service at Peninsula is decent. I won't say that its as extravagantly amazing as the service in some of the newer restaurants but it works well for a casual family diner. The servers appear seasoned and professional. The pricing could be a little higher compared to most multi cuisine casual diners but the food is quite good and feels worth the money. The place does brisk business so patrons are fine with pricing structure. While it may appear like an ordinary restaurant from the outside, its the experience inside that counts. 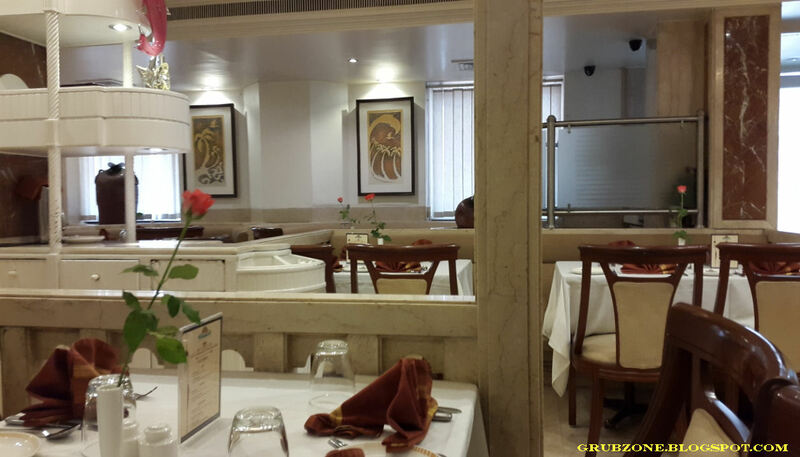 The food is good and Peninsula positively serves some of the best kebabs in Mumbai. Made my trek to Sion worth the effort. "What can be better than to rejuvenate our spirits with Kebab and Chicken eh mateys? Now lets fix up our ol' ship and load up the rations. Shall we?"